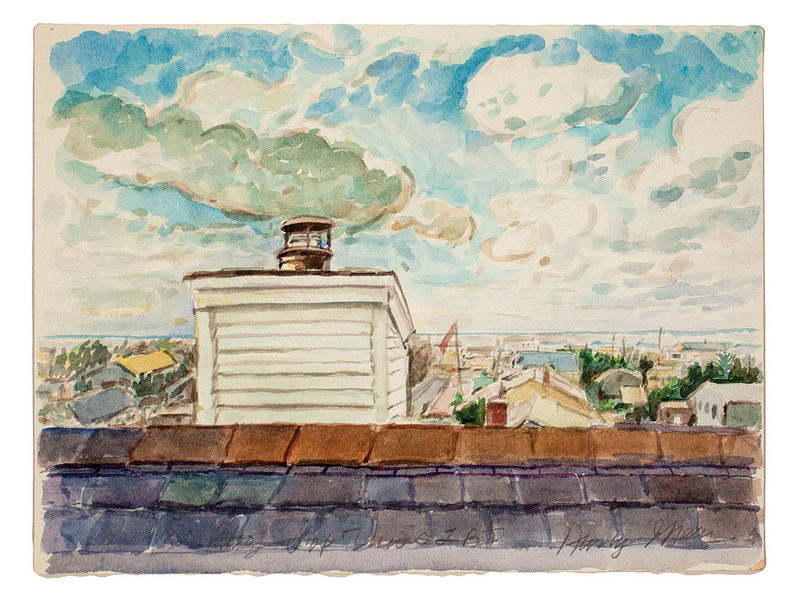 “ROOFTOP VIEW LBI”: This painting is part of Rider University’s exhibit of watercolors by Professor Harry I. Naar. “Watercolors: Observed and Imagined” is on display in the Rider University Art Gallery in the Bart Luedeke Center through November 30. An artist’s talk is Wednesday, November 7 at 7 p.m. The Rider University Art Gallery features an exhibit of watercolors by Rider Professor and Gallery Founder and Director Harry I. Naar, running through November 30. An artist’s talk is Wednesday, November 7 at 7 p.m. Listed in Who’s Who in American Art, Naar has exhibited his work in numerous one-person and group exhibitions throughout the country and abroad, and his work is included in numerous private and public collections. The Rider University Art Gallery is located in the Bart Luedeke Center on Rider University’s campus, 2038 Lawrenceville Road, Lawrenceville. It is open Tuesday through Thursday from 11 a.m. to 7 p.m. and Sunday from noon to 4 p.m. To learn more, visit www.rider.edu/arts.